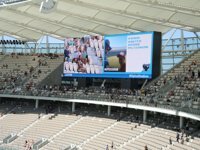 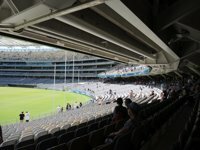 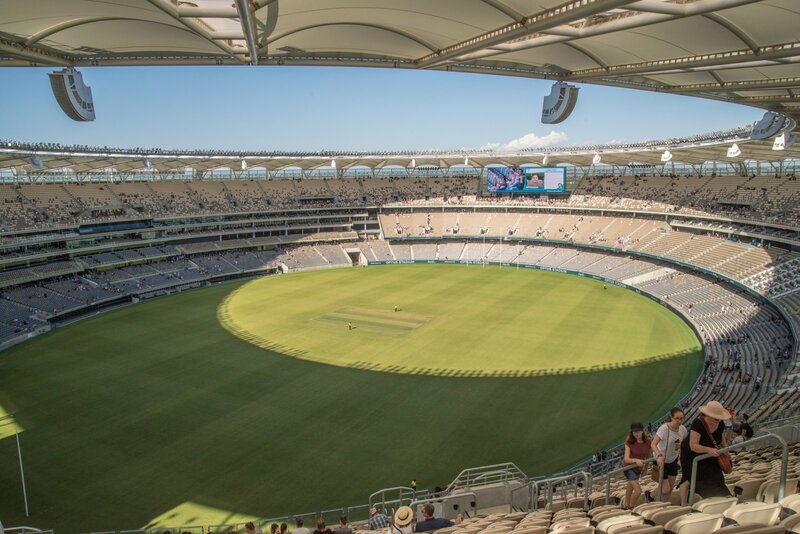 One of Australia's most modern stadiums opened its doors to the public in early 2018, just as planned during construction. 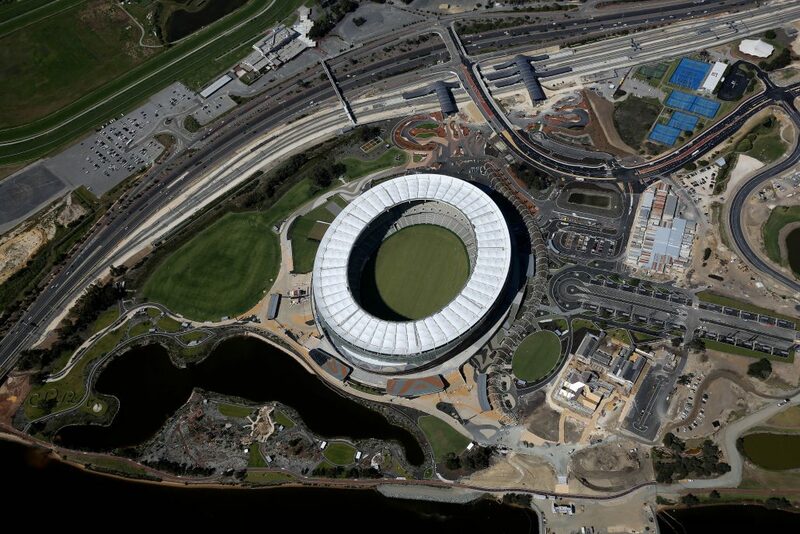 It instantly became a landmark in terms of functionality, technological advancement and urban planning. 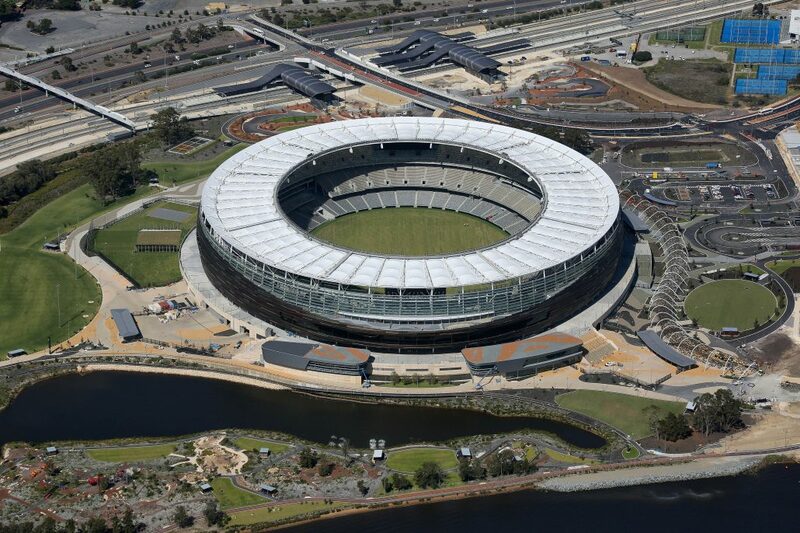 Especially the latter mattered as from the get-go it was planned as a leisure hub rather than just sports stadium. 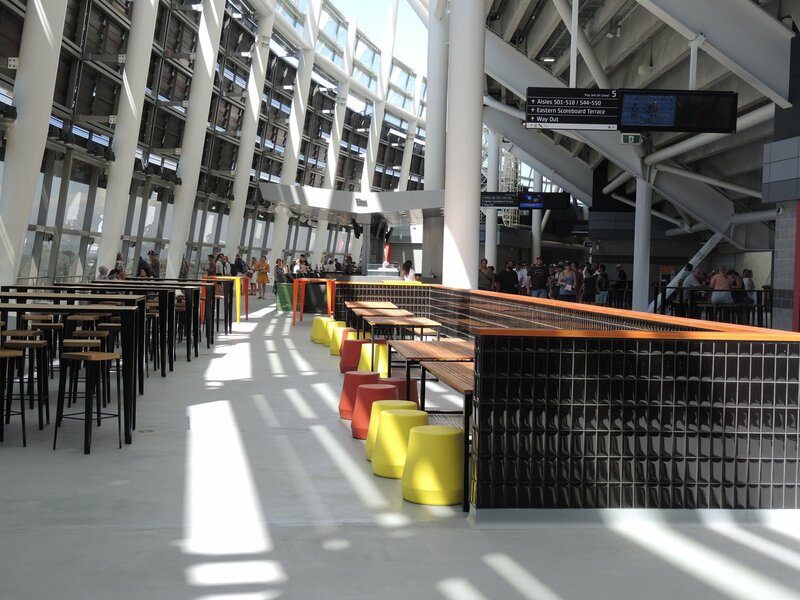 Designed with “fans-first” approach in mind, the stadium offers the best experience available at the time of design works, carried out by some of the world's leading architects and engineers. 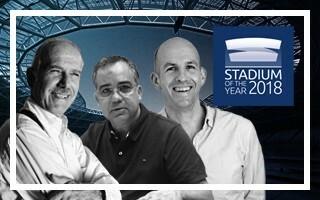 Construction of the stadium was planned from 2007 but eventually began only in 2014, following successfull 'design and build' competition. 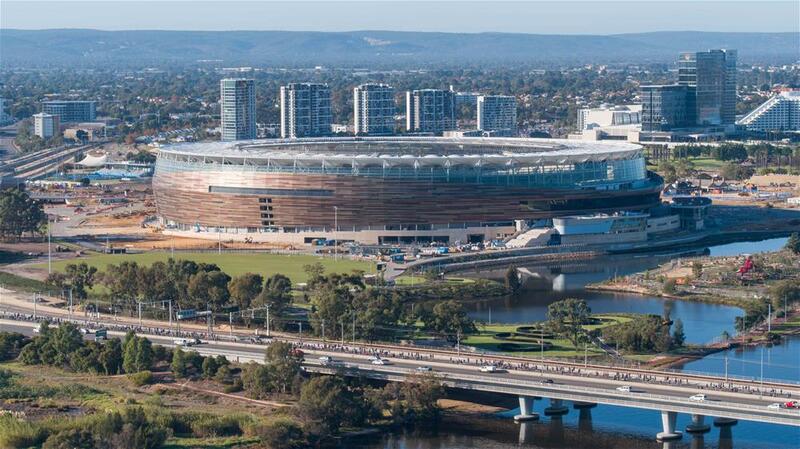 While two locations near downtown were first considered, eventually the more remote site in Burswood was selected. 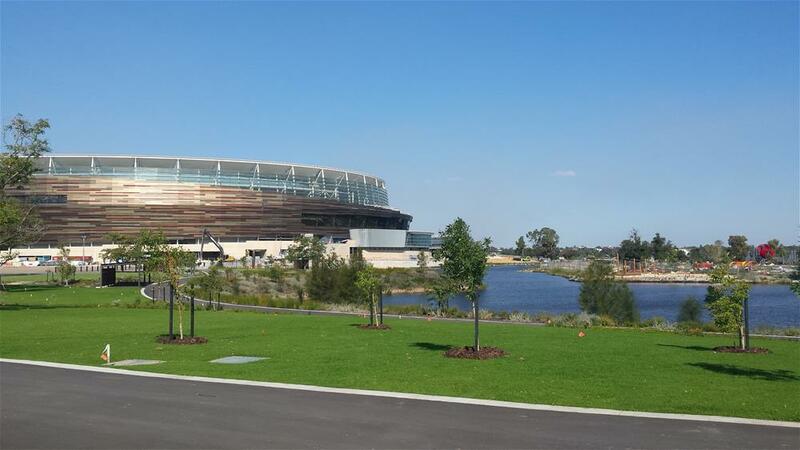 Known for its asbestos contamination, the former industrial location was deemed safe and – due to neighbouring Swan River – as many as 2,000 piles were sunken into the ground before foundation work followed. 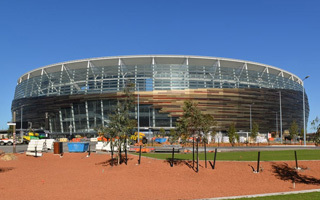 Enabling works on the site were launched back in 2013, followed by 3 years of actual construction beginning in December of 2014. 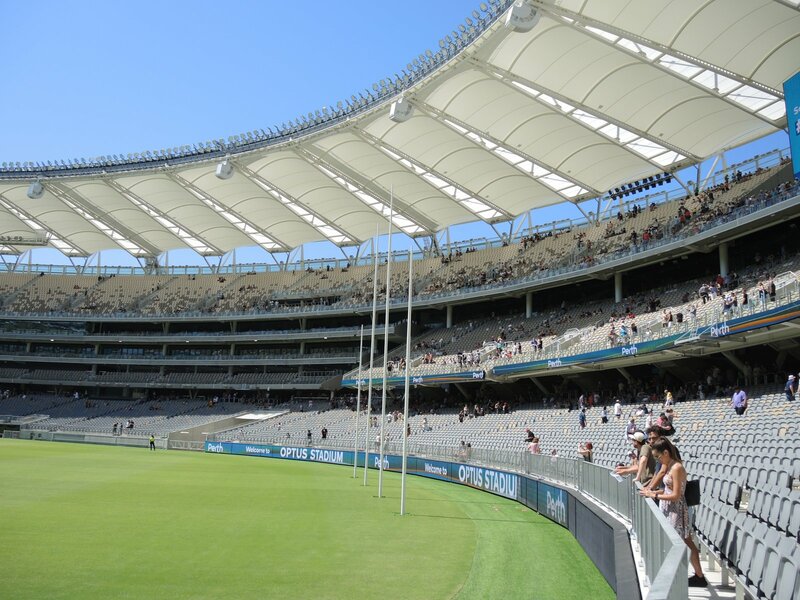 As many as 5,800 workers delivered the stadium, with 8 tower cranes serving the massive site. 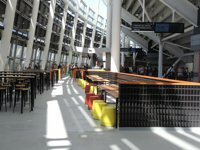 Final cost of the project proved far above initial estimates. 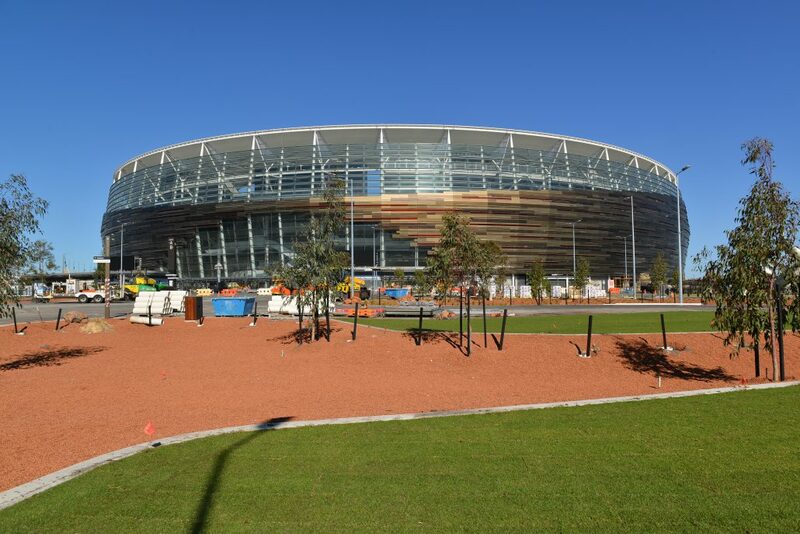 First hoped to cost A$ 700 million, the project was contracted for over 900 million and eventually ended with a price tag over A$ 1.6 billion, including the precinct around Perth Stadium. 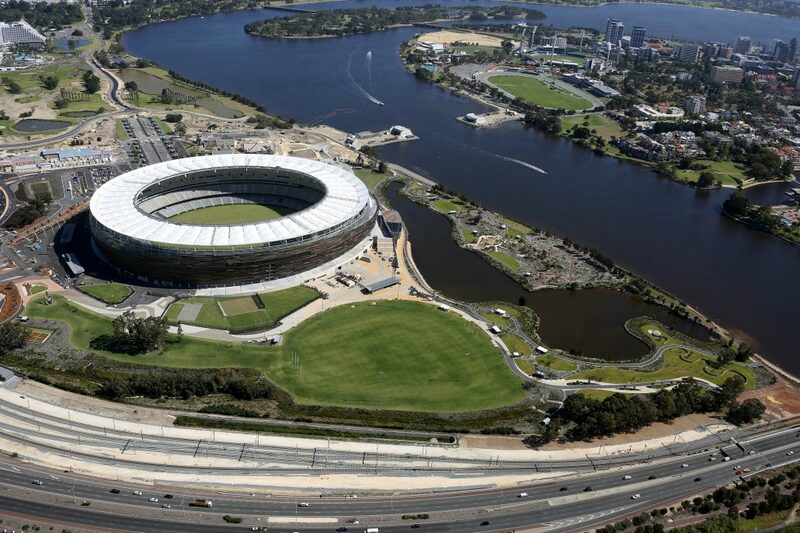 That's right, it was named officially Perth Stadium despite proposals of Swan or River Stadium also being made. 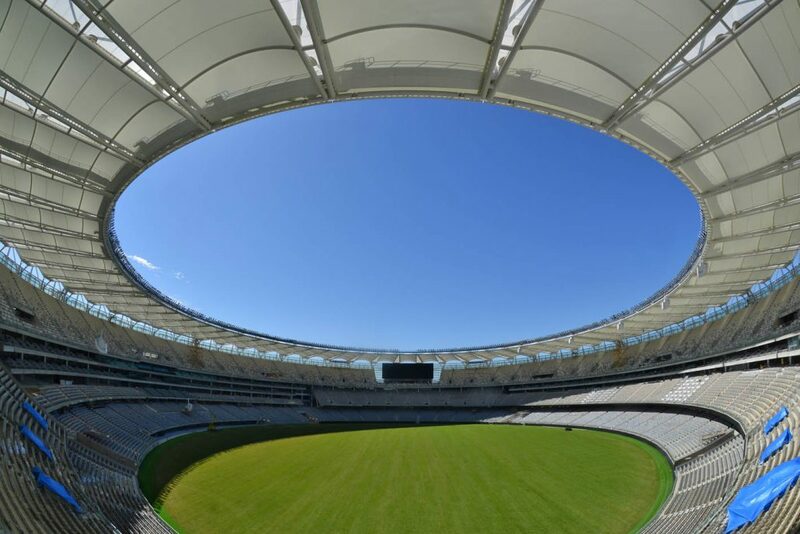 Initially no naming rights deal was planned due to the project's scale and meaning to the public, however 2017 brought change in government and policy, seeing authorities try and recoup as much of the growing cost as possible. 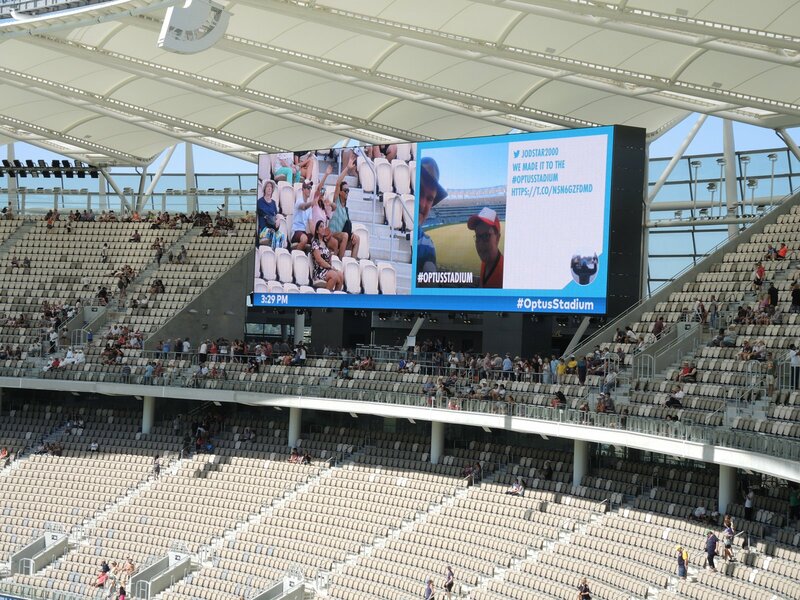 The name was sold for a decade to Optus, one of Australia's leading telecommunications companies, though excluding international tournaments. 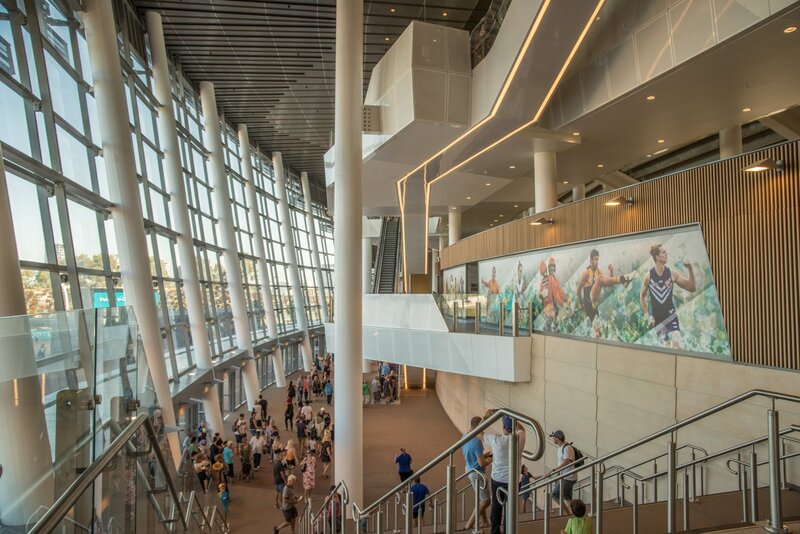 The building was designed with a variety of sports possible to accommodate, though the field is primarily created for Australian football and cricket. 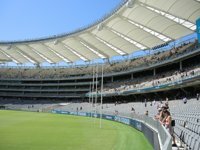 It may as well serve athletics with a temporary running track, more easily hosting football and rugby with a rectangular field. 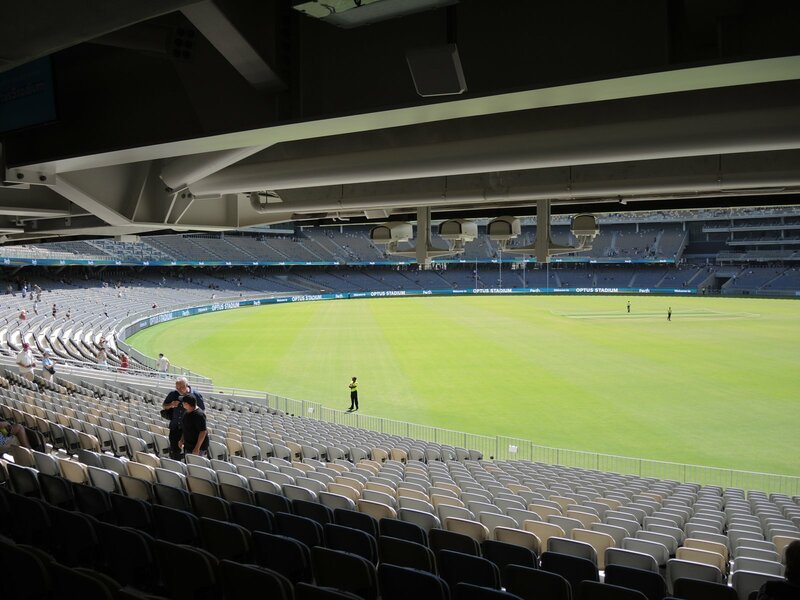 In all these disciplines the stadium is able to meet highest standards set out internationally, reaching capacity of up to 65,000 for football and 70,000 during concerts. 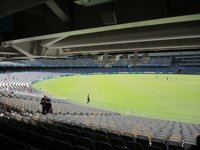 There also is a possibility to increase capacity by 10,000 in the future. 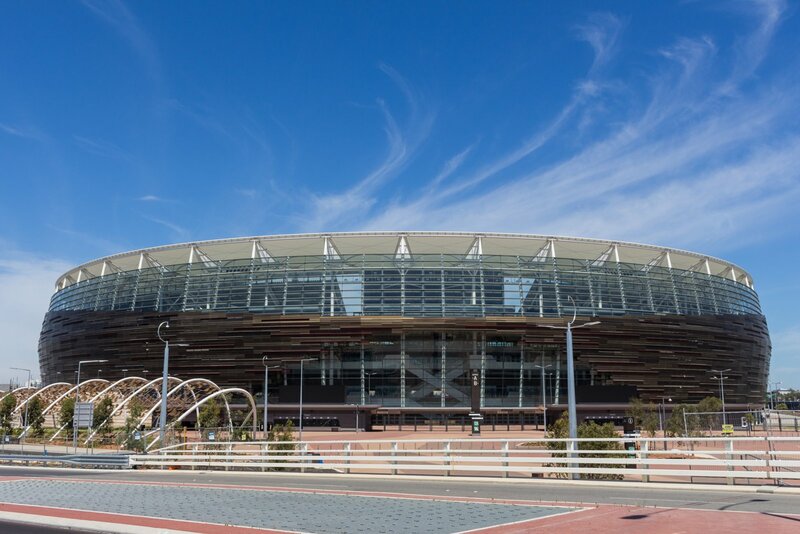 The oval shape is typical to Australian stadium architecture, so are the three-tiered stands. Continuous rings provide very good sightlines, while wide seats with cupholders ensure comfort under the lightweight membrane canopy. 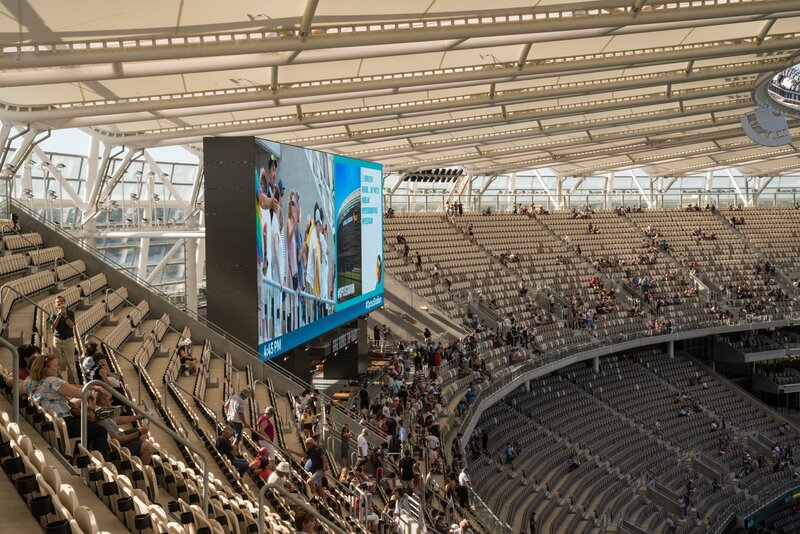 The roof covers roughly 85% of fans, also protecting two massive screens resting on the uppermost tier, each measuring 340 m2. 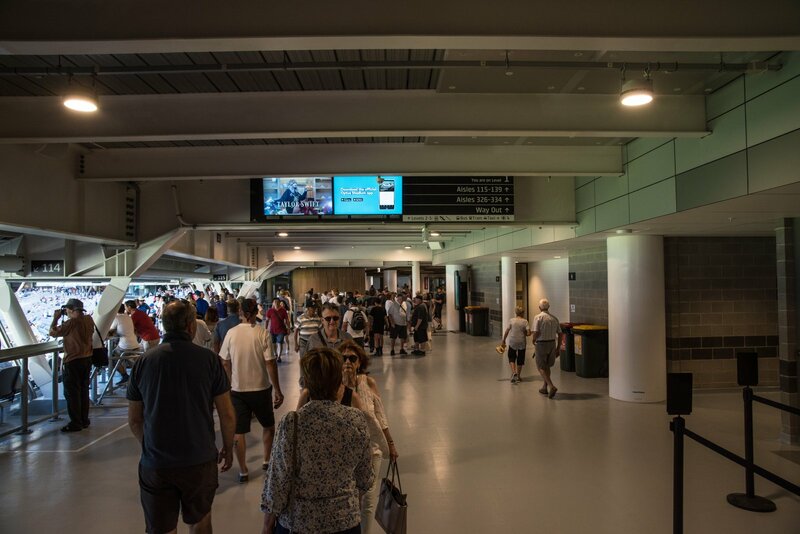 An initial number of 1,000 IPTV screens were also spread across 5 floors of the stadium's spectator areas. 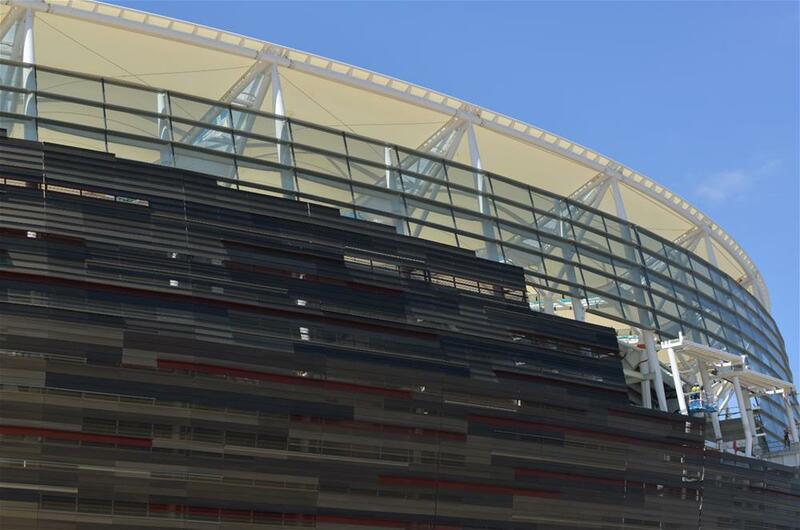 The outer shell is covered with glass and anodized aluminium, creating a very natural and warm appearance. 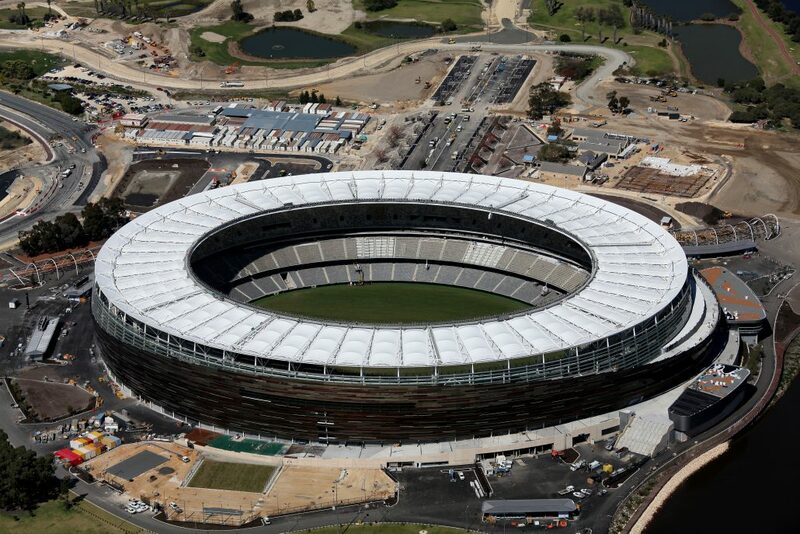 Safety is ensured by 650 CCTV cameras, as well as a police station created within the stadium. 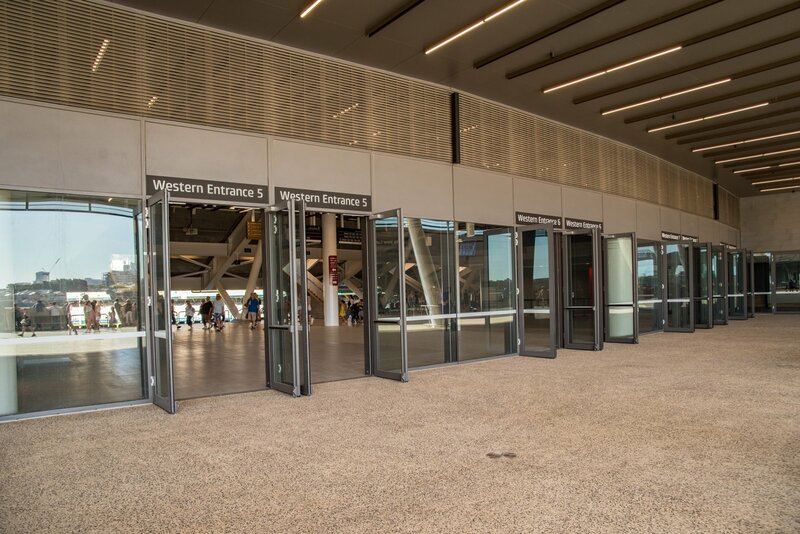 In order to ensure safety from vehicle-use terror acts, areas directly around the stadium were designed to have limited access to cars, though this is also due to overall policy of encouraging pedestrian access or using public transport. 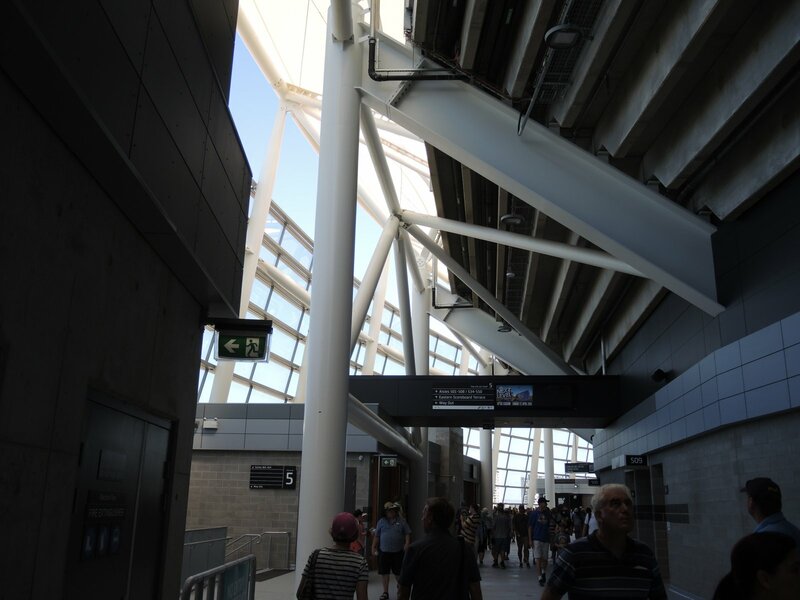 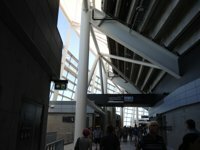 The stadium received a new pedestrian bridge connecting it to downtown, it's served by new light rail station and bus terminus. 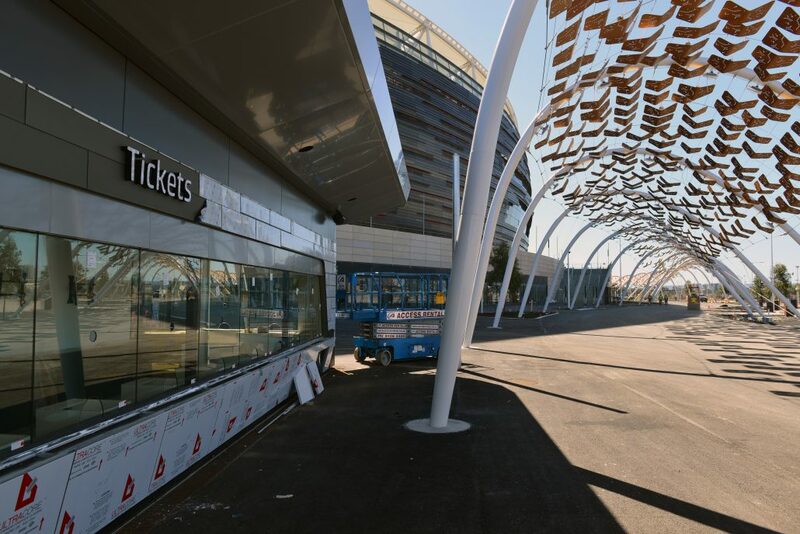 600 bicycles can also be parked directly beside the stadium. 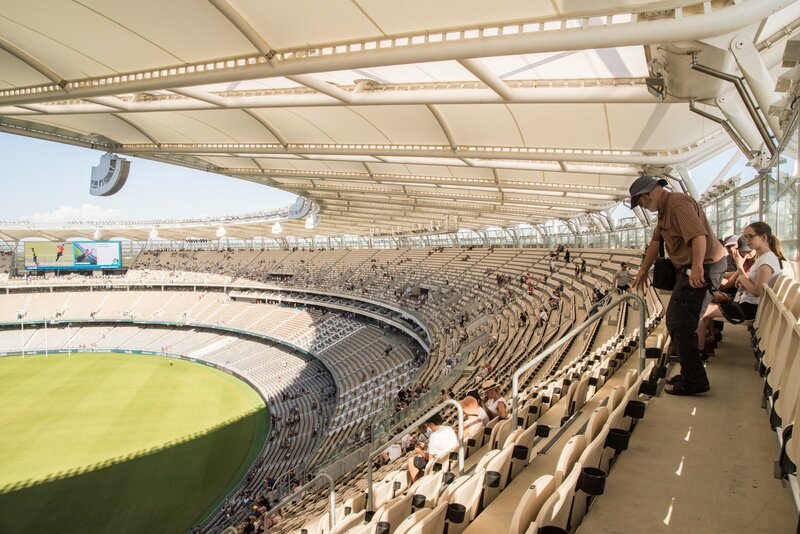 Described with the often-used “state-of-the-art stadium” term, this venue is indeed created as a quality urban space both for mass events and everyday leisure activities. 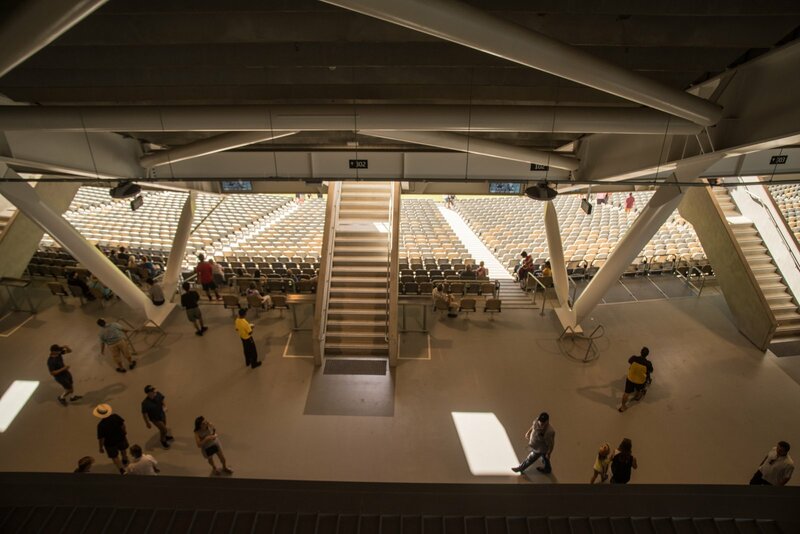 Surrounded with well-landscaped public park, it offers barbecue areas, playgrounds, fitness areas, art expositions and an amphitheatre for 1,000 people.